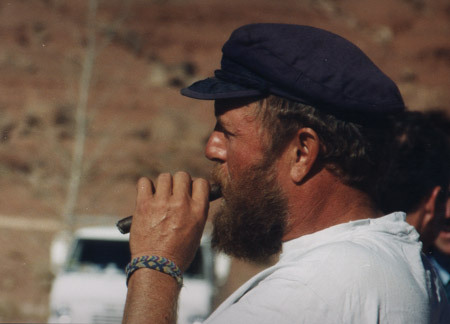 A trip down memory lane...here are photos (courtesy of Bob Groene!) from Georgie White's 80th birthday party. 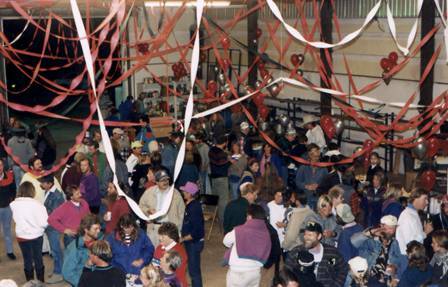 For those of you who weren't around for the big bash, it took place at Hatchland in the Fall of 1990. What a party! 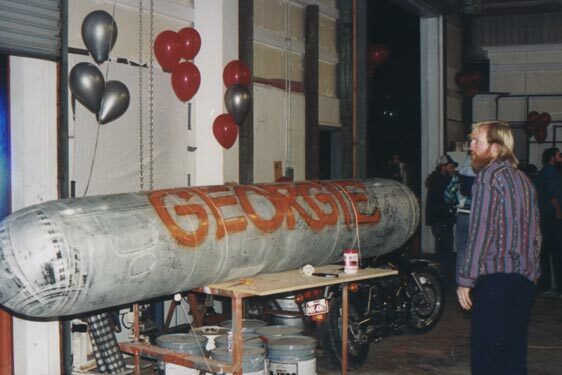 As I recall there were about 300 river guides and friends there to help Georgie celebrate in style! 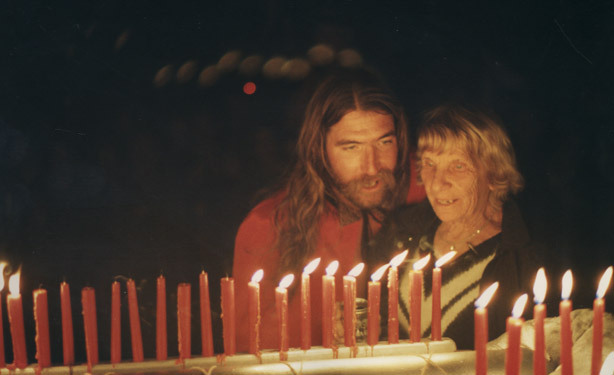 Georgie and Brian Derker basking in the glow of birthday cake candles. 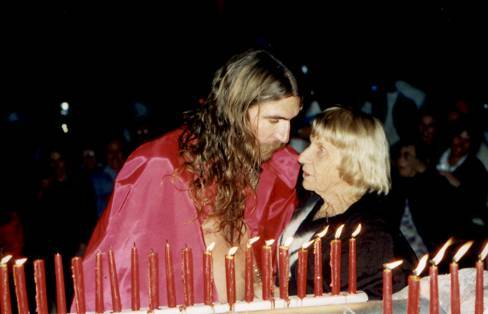 At Georgie's 80th birthday party, 1990. 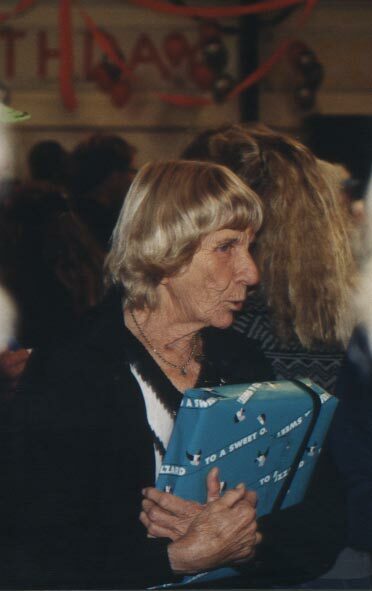 Georgie at her 80th birthday party. Whale at Georgie's birthday party. A unique birthday card...everyone signed their best wishes on the rubber tube. 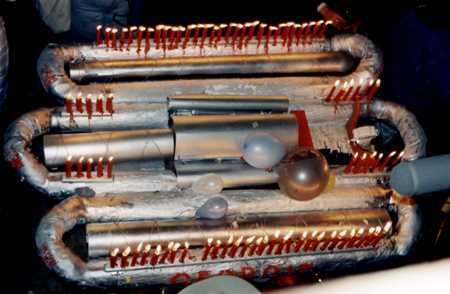 A triple-rig (G-rig) birthday cake with candles.